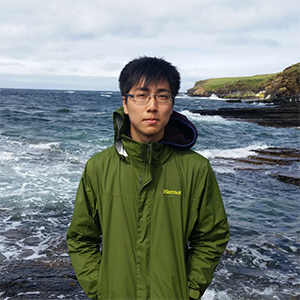 Congratulations to Glenn Liu, (BA 2017, Macaulay Honors and Honors in Environmental Studies) on winning the "Outstanding Student Conference Poster Award" for work presented at the 17th Annual Student Conference for the American Meteorological Society in Austin, January 2018. This presentation resulted from Glenn’s work with Professor Robert Korty of the Department of Atmospheric Science at Texas A&M University during the summer of 2017 as part of a “Atmospheric Sciences in the Gulf Coast Region” Research Experience for Undergraduates (REU) program. The scientific poster, titled “Changes in tropospheric stability and the frequency of moist convection in the Northern Hemisphere extratropics," presented results of an assessment of the spatio-temporal changes in the stability of the Northern Hemisphere Extratropics between 1948-2014. The judges that visited Glenn's poster gave it an average score that was half a point away from the maximum possible score!